These are some of the major longitudinal and in-depth research programmes, papers and reports that have informed and inspired the focus, planning and shaping of the Right from the Start series of books and presentations. They are in chronological order. Bright Futures: Promoting Children and Young People’s Mental Health. This report looks at all of the factors affecting the mental health and emotional development of children and young people in the UK. It describes the services available and the views of a range of experts, service providers, parents and children themselves. It presents a practical framework for action that will help government, public service providers and the wider community to achieve the shared aim of healthier children, able to develop into emotionally rounded and socially responsible adults. Research has led to many detailed reports concerning the emotional needs of children under three. For example, findings show that consecutive hours of separation of a child from his mother during the first six months and whole-day separation during the first two years can be seriously harmful. The slowdown effect on the growth of the fore-brain (the pre-frontal cortex) and changes in a child’s overall brain structure will occur whenever a child suffers neglect at home or separation stress in a day-care or nursery setting. The damage is caused by a repeated flooding of cortisol (the stress hormone) in the baby or young child. Good Childhood? – A question for our times 2006. National Inquiry into the state of childhood in the UK today. This report considers how childhood has changed, is experienced and viewed in the UK today. Survey and Report 2007. In this report on children’s emotional well-being, happiness and health in the industrialised countries of the West. Sweden and The Netherlands came overall at the top of the list. The UK and the US came at the bottom. A further UNICEF report in 2011 describes how, compared with children in Sweden and Spain, children in the UK suffer greater inequality, too little family time together and massive pressures of a consumer society. Children told researchers that their happiness is dependent on having time with a stable family and plenty of things to do, especially outdoors, rather than on owning technology or branded clothes. The Emotional Harm and Wellbeing of Children 2007. This identifies risk factors and protective factors through focusing on children who, from their earliest years, present phobias, anxiety states, sleep problems, ADHD, eating disorders and depression – including those children who are unable to learn, unable to make friends and may become suicidal. Figures are based on the Office for National Statistics and Young Minds. Results of the independent Good Childhood Inquiry commissioned by The Children’s Society – found that our children are suffering an ‘epidemic of mental illness’, with significant increases between 1974 and 1999 in the number of children suffering from conduct, behavioural and emotional problems. Eleven studies between 2010 and 2012. The findings, on behalf of the UK Government, brought together in a Jessica Kingsley publication called Safeguarding Children Across Services. What on Earth are we doing to our Children? An Appeal to the Nation’s Conscience. 1995 report updated. A Community Study of Physical Violence to Children in the Home and Associated Variables. Led by Marjorie Smith. Commissioned by the Department of Health and undertaken during the 1990s. A critical finding in this study was that one in four mothers in England and Wales hit their babies before they are a year old. Child Maltreatment in the UK. A study of the prevalence of child abuse and neglect. 2000. Violence and what to do about it – based on nine years of research into the roots of violence. This report also describes valuable tried-and-tested initiatives and programmes designed to foster parental atunement to the needs of children and the development of empathy and compassion in children. The WAVE Report confirms how serious the damage can be to children’s brain development and emotional well-being – when there has been neglect, mishandling or abuse – and how severe and lasting this damage will be if it occurs before the age of two. Fractured Families. 2006. The State of the Nation Report undertaken through the Social Policy Justice Group. Breakdown Britain: Executive Summary 2006. Interim report which describes the five, multi-causal drivers of poverty in Britain today, plus a paper on the potential of the Voluntary Sector for its remedy. Breakthrough Britain. The Next Generation Report 2008. Presenting researched findings about the early intervention needed to protect the healthy development of babies from conception to age three and to support the physical, mental and emotional health of parents and children. Dying to Belong: An In-Depth Review of Street Gangs in Britain 2009. Analyses the true nature and scale of gang culture in Britain. It looks at who is involved and gang activity; how Britain has reached this point; and what society can do to tackle it. Highlighting and learning from models of best practice in both the UK and America, Dying to Belong sets out a blueprint for tackling Britain’s growing gang problem. It covers: The immediate response needed to prevent violence and to break up gangs; medium-term proposals for building trust and positive relations between the police and young people; and a long-term approach to prevent future generations of young people from becoming gang-involved. Harvey Karp M.D. Paediatrician and child development specialist. 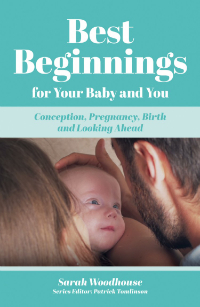 Writes and lectures on pregnancy, childbirth, parenting and grandparenting. Dr Allan Schore Leading researcher in the field of neuro-psychology. Dr David Servan-Schreiber Physicist, neuroscientist and author. Rudolph Steiner Philosopher, social thinker, founded the Anthroposophical Society and Waldorf Education. All these research sources and practitioners – and others too – have inspired and continue to inform the work of Right from the Start.